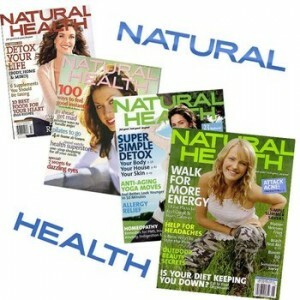 Natural Health Magazine Subscription - Only $3.50 Through 10/5 | A Savings WOW! Here’s a great deal on Tanga for a 1-year subscription to Natural Health magazine (10 issues). The normal suggested retail price is $39.50 per year, You can get a subscription for only $3.50 per year when you use the coupon code HEALTH at checkout through October 5th at 8:59 PM CST. Natural Health is a guide to good health. It includes information on naturally-oriented food and nutrition, alternative health practices, exercise and self-care. Order your Natural Health magazine subscription for only $3.50 today!